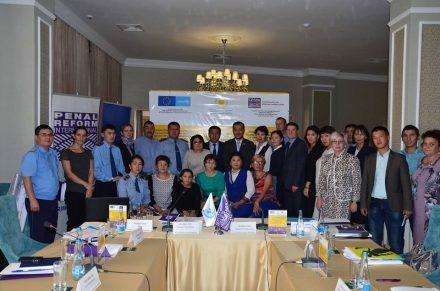 At a national meeting held in Kyzylorda, Kazakhstan to discuss and develop new approaches to improving children’s closed institutions, PRI’s Central Asia office agreed to draft a plan of transformation of educational services for children deprived of their liberty in the regions of Mangystau and Kyzylorda. The plan, which will be drafted with the support of international experts from Georgia, will incorporate a comprehensive approach and will have a particular focus on providing rehabilitative services, in order to help children – and their families – with their return to society. This would include a child-friendly support centre, where children and their families could access appropriate services. The meeting was also attended by the Committee for the Protection of the Rights of Children of the Ministry of Education and Science of the Republic of Kazakhstan. The project falls under a UNICEF-funded programme to strengthen child-friendly social environments in Kazakhstan. Read the full press release about the meeting in Russian and Kazakh.